Two preseason games this weekend - as they were just that - two preseason games. One of them we won, the other we lost. Ultimately they don't matter in the standings, but are as important in defining what the team will look like in Buffalo on opening night a couple of weeks from now. Both games were played very differently, but they shared a common theme - 'grit' comes to mind when watching both games. 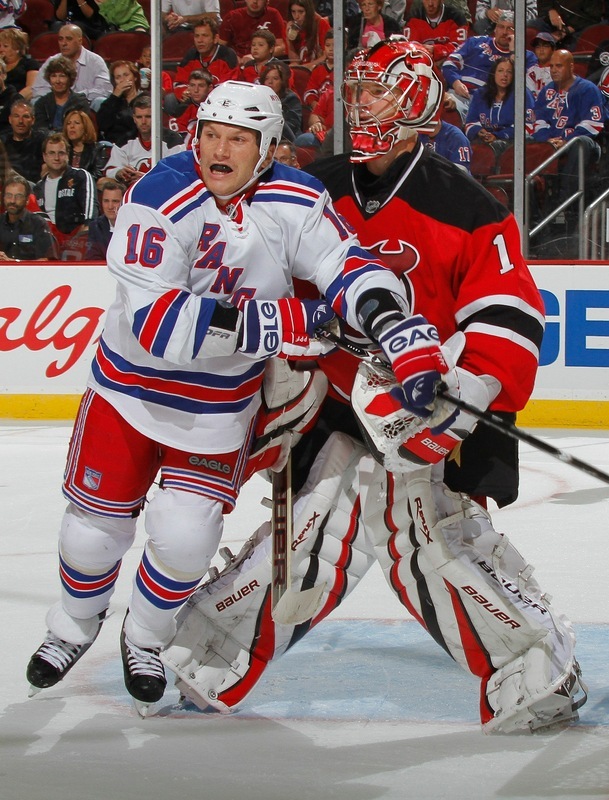 Playing the Devils at The Prudential showed more emotion and fisticuffs than I can remember -- Sean Avery was on his game, even taking a run at Ilya Kovalchuk (hilarious!) and refusing to drop his gloves to anyone else on the team. 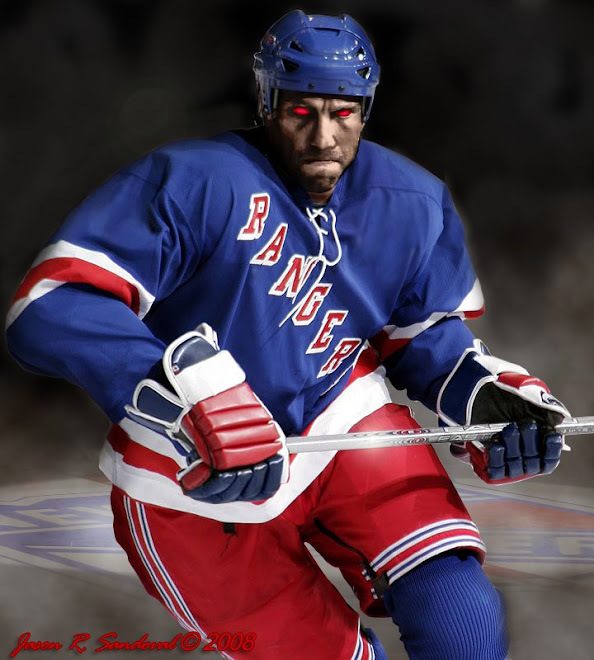 Clearly, the Blueshirts were defending their own and every whistle was another chance to shove a Devil....like the old Rangers.....the retired Rangers. Don't mess with us. The kids are making an impression. The Utopian Torts system of two-way players, speed and 'defending your own' has never been more apparent this season. With the contract-heavy Wade Redden placed on waivers Saturday at noon, it was a Rangers-wide wake-up call that "contracts don't matter" if you're not willing to put forth your best effort. Even Mickey Rozsival has played a different level of game. Go here as our friend the Ranger Pundit did a nice recap on the NJ Devils game and here Scotty Hockey did a clear recap of our loss to the Detroit Red Wings yesterday. We play a home game against Detroit this Wednesday and hopefully we'll see the same level of physicality brought to the Red Wings yesterday. 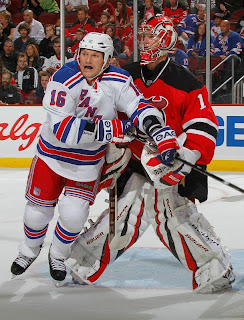 Is it me or are you feeling like Lundqvist and Biron have been letting in some extremely soft goals? It worries me a little. Short and sweet folks -- gearing up for the opening and feeling pretty excited.